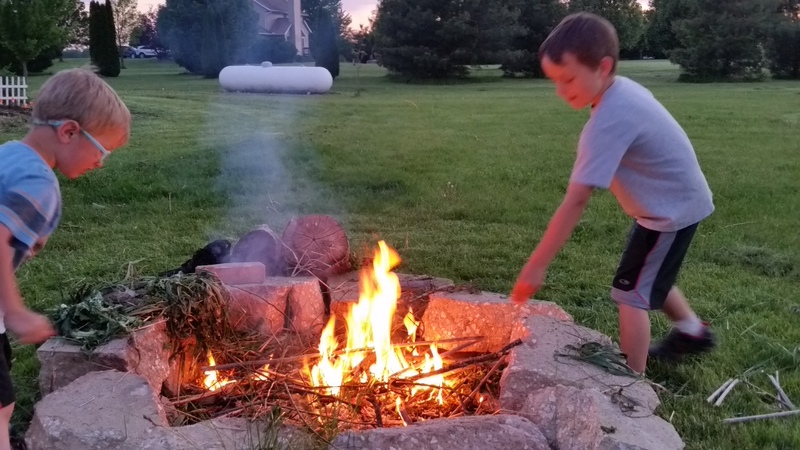 For the past couple of weeks, Joe has been asking if he could learn how to start a fire. My first reaction was to say “maybe when you are a bit older”. But I then I thought, he’s curious and interested so why not now? He’ll learn more and retain the information better. 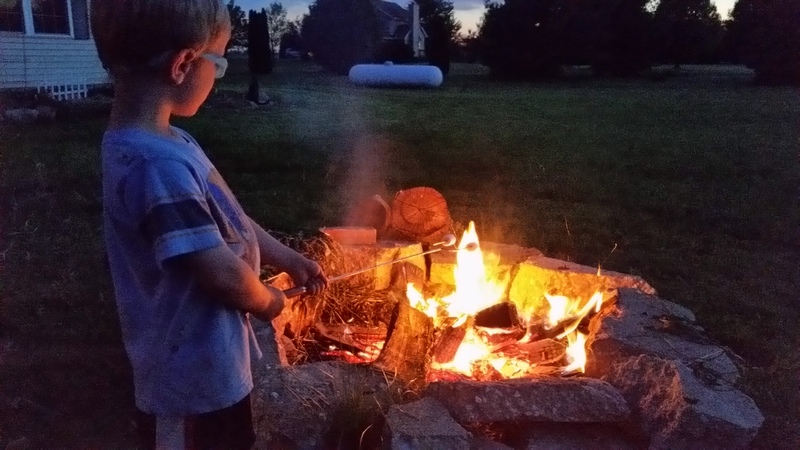 And, he’ll learn the safe and correct way to start a campfire. Away from buildings, with water handy and the safe guidance of daddy. 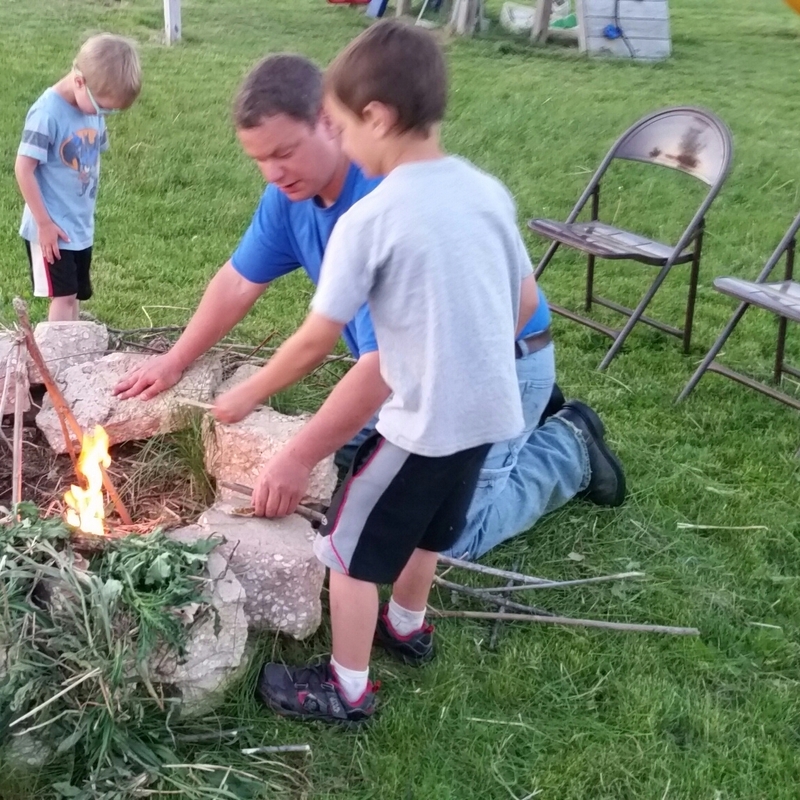 Last night, Ray gave Joe and Jake their first lesson in building a fire. He explained the why and patiently answered questions. He guided them and he reinforced being safe at every turn. He quizzed them throughout the process to make sure they had listened and understood both the dangers and reasons behind the safety guidelines. He also explained what a fire needs. Air, heat and fuel. I enjoyed watching him teach a lesson. 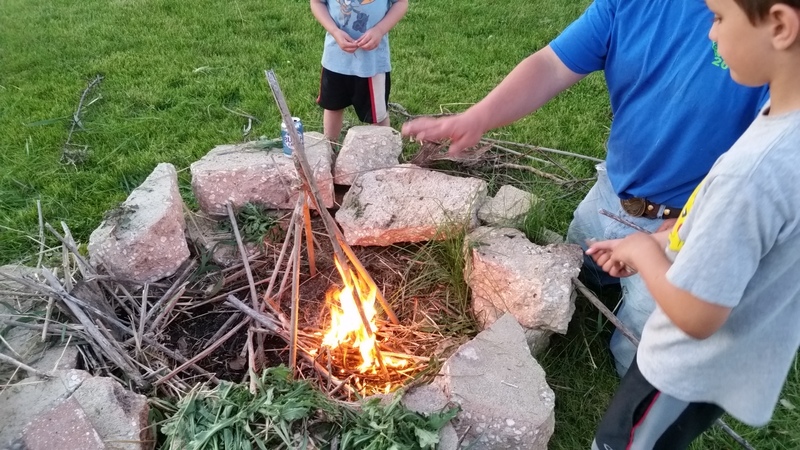 The boys might have learned how to build and create fire from me or someone else, but watching them work with Ray and listening carefully to every word was amazing. He was patient and the boys had fun. They learn by doing and they were so proud of the end result of the lesson. 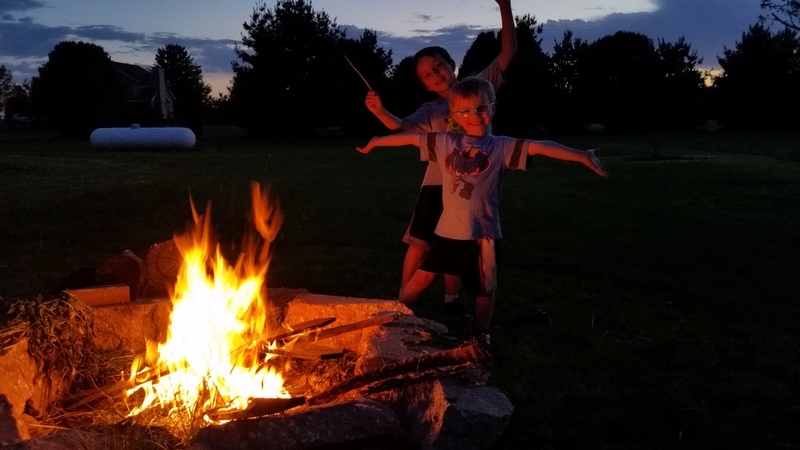 When the fire was roaring and ready, we all sat around the fire while the boys roasted marshmallows for us. The boys could not stop smiling. This entry was posted in Education, For the Kids, Haiku, Life, Writing. Bookmark the permalink.